The Intelligence Security International (ISI) team provides expertise and analysis to help you improve your security posture, facilitate compliance, and improve operational efficiency. With deep experience in the consulting, investigations, and training areas, our security professionals identify risk and prepare you for favorable controls. David founded Intelligence Security International (ISI), Inc., in Burlington, Massachusetts in 2009 after a distinguished career in Corporate Security, Contract Security and the Security Technology Industries. For the first 20 years of David’s career, he worked for Digital Equipment Corporation (DEC), Stratus Computers, Lotus Development Corporation/IBM and State Street Bank where he was responsible for the day-to-day supervision of Physical Security in their North American Operations. From there, David worked in a Regional Capacity for then AlliedBarton before accepting a position with Software House. David possesses an exceptional level of expertise in having served as the Client and the Service Partner; and, having logged tens of 1,000s of hours in both the Physical Security and Security Technology disciplines. Few people possess David’s experience and perspective which are enhanced by David having also served as a Corporate Investigator and being licensed as a Private Investigator. In addition to his professional resume, David has been recognized by ASIS International for his roles in volunteer leadership spanning 20 years. David began his career 30 years ago as a co-op student, attending Northeastern University in Boston. 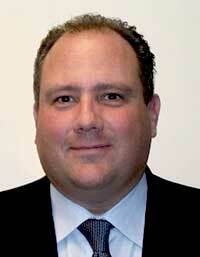 David holds an Associates Degree in Business and a Bachelor of Science degree in Criminal Justice. Throughout his career, Dave has volunteered with dozens of Charitable and Non-Profit organizations. Today, Dave serves on Three (3) Executive Boards: Burlington Youth and Family Services, Inner City Weightlifting and The Augusta Country Club. In the Security Industry, few professionals gain a reputation for Excellence that spans three (3) decades and covers the scope and breadth of expertise as Vince DiPiero. Earlier in his career, Vince was one of the visionaries who identified Integrated Security Protection as the future of the Security Industry. For over two (2) decades, Vince has been leveraging Security Technology, Policies, Procedures, Security Staffing and Customer Culture to create value propositions and solutions for his clients. Vince is recognized by many to be a Subject Matter Expert (S.M.E.) in the fields of Higher Education, Hospital and Healthcare Facilities, Commercial Real Estate Properties, and Cultural Institutions; frequently being asked to speak at ASIS, IAHSS and IACLEA events. Vince’s success has been based on his ability to maintain direct customer relationships and ISI could not be more excited to be able to bring his energy and expertise to our clients. Vince began his career in Security working for SpectaGuard at the Philadelphia Spectrum while in college. Over twenty-five years, Vince rose through the organization to serve as a Regional Vice President and over that time, the firm grew from a local company to a Northeast Regional Company, to a National company becoming the third largest security firm in the United States. From there, Vince served in Regional and Corporate positions with a couple of Premier Security firms, including one Security Technology provider. Vince has personally accounted for 100’s of millions of dollars in business and his record of accomplishment speaks for itself. Vince is establishing an ISI office in the Greater Philadelphia area and will be able to offer ISI’s full portfolio of consulting and training services to his network of clients and associates throughout the country. Vince is a graduate of Temple University and a life-long resident of Philadelphia. Roy J. Murphy CPP is a senior executive-level police and security management professional with more than 35 years of progressive experience. In 2006 Roy was hired as the Director of Public Safety, Chief of Police at Berklee College of Music and in 2013 was promoted to Senior Director for his outstanding achievements in the development of a student centric campus safety program. 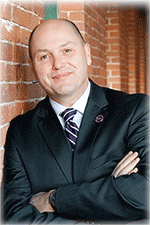 As a well-known campus law enforcement official, he is most recognized for balancing the needs of the campus community with the care of the law as it relates to city, state and federal agencies including the Department of Education comprising the Clery Act and related programs such as Title IX as well as Violence Against Women Act (VAWA). As an experienced manager with exceptionally strong communication, organizational development and management abilities, coupled with an approachable manner, Roy has successfully directed various campus teams to achieve their potential and significantly exceed performance thereby heightening the total student, faculty and staff community experience. This was often achieved by his capability to cross over conventional department lines. Throughout his career, Roy has spearheaded numerous programs that have assured integrated safety and security strategies while solidifying a variety of continuity and crisis management plans to ensure the wellbeing of the communities for which he serves. He has consistently employed comprehensive strategic plans to unify security operations while proactively addressing the evolving campus community innovatively leveraging technological solutions.